So while the A7r's ultimate resolution remains very seductive, the A7 fights back with sheer value, especially when bundled with the 28-70mm kit zoom. As I mentioned in my A7r review, any potential buyer should think very carefully about whether they really need full-frame, and also understand the limitations of the two Sonys especially compared to established smaller formats such as the latest from Olympus or Panasonic, but if you decide the large sensor in a small body is the way to go, you've now got two fantastic choices. What a start for the FE system. The Sony Alpha A7 is a mirrorless system camera with a full-frame sensor. Announced in October 2013 alongside the higher-end A7r, they are the World’s smallest and lightest full-frame mirrorless system cameras; note Leica has long offered its M series with full-frame sensors and interchangeable lenses, but they’re larger, heavier and manual focus only. Sony also has its own full-frame RX1 and RX1r compacts, but while they’re mirrorless, they don’t have interchangeable lenses. The A7 and A7r are externally identical, with the only difference being the sensor within: the more affordable A7 is equipped with a 24.3 Megapixel full-frame sensor with embedded phase-detect AF, while the more expensive A7r sports a 36.4 Megapixel full-frame sensor with the low pass filter removed (for potentially crisper results) but no phase-detect AF points. The full-frame sensors on both models are considerably larger than the APS-C and Micro Four Thirds sensors found in most mirrorless system cameras, allowing shallower depth of field effects at the same apertures and potentially superior noise and dynamic range performance. Like the NEX models though, there’s no built-in stabilisation, with the cameras instead relying on optically stabilised lenses to iron-out any wobbles. Beyond their sensors, both models are virtually identical. The compact bodies look not dissimilar to the Olympus OMD models and offer a choice of a large XGA OLED viewfinder (roughly the same image size as the OMD EM1) or 3in tilting (non-touch) screen for composition, dust and moisture resistance, Wifi and NFC, the chance to download apps to expand the functionality, 1080p video at 24p / 25p, 60i / 50i or 60p / 50p, and slideshows output up to 4k over HDMI or Wifi. Bracketing is limited to three or five frames at up to 3EV or 2/3EV repsectively (but could be upgraded via a downloadable app), the maximum shutter is 1/8000, there’s microphone and headphone jacks, and focus peaking. With the promise of full-frame quality that could beat the Canon EOS 5D Mark III in a smaller, lighter and cheaper package, the Alpha A7 could end up being the preferred choice for those who don’t need the ultimate resolution of the flagship A7r, while also enjoying quicker AF to boot. But how well does it work in practice? Find out in my Alpha A7 review where I’ll share in-depth comaprisons with the A7r, Canon EOS 5D Mark III and Nikon D800e! Note I’ve re-used parts of my A7r review where both cameras are identical. At the official Sony press launch, I got my hands on an Alpha A7 and A7r and made this video to guide you through the new features! This video was filmed as a preview, but hopefully remains useful as a guide to the basics before you delve into my review below and over the following pages! The Sony Alpha A7 is styled like a mini DSLR with a combination of curves and flat angular surfaces which at first glance may look a little severe to some, but over time I became quite fond of the style. Measuring 127x94x48.2mm and weighing 474g with battery and card, it’s surprisingly small and light especially when you consider the full-frame sensor within; note the A7r is the same size, but 9g lighter due to slightly different materials. Indeed the A7 and A7r are actually roughly the same size and weight as the Olympus OMD EM1 (130x94x63mm / 496g), although the EM1 is a little thicker thanks to a slightly a chunkier grip. Another revealing comparison is against the Olympus OMD EM5 which measures 121x90x42mm and weighs 425g with battery. Do remember though all Olympus bodies include built-in stabilisation which works with any lens you attach, whereas the Sony A7 does not. Here’s how the A7r looks next to the older Olympus OMD EM5. 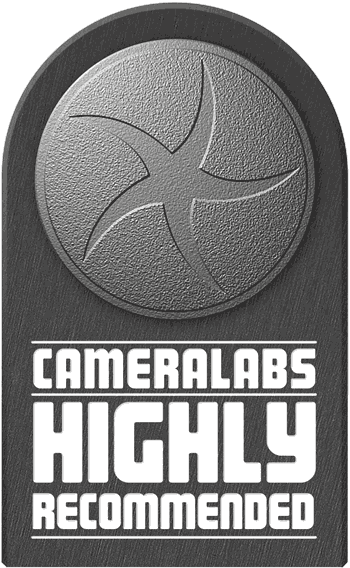 Place it next to a higher-end DSLR and the difference is dramatic. I hired Canon EOS 5D Mark III and Nikon D800e bodies from BorrowLenses.com in the US primarily for image quality comparisons with the A7r and A7, but was shocked to compare their size and weight against the new Alphas. The 5D3 measures 152x116x76mm and weighs 950g with battery, making it 3.1cm wider, 2.6cm taller and 3.4cm thicker, not to mention double the weight without a lens. Meanwhile the Nikon D800e measures 145x122x81mm and weighs-in at 1Kg with battery, making it 2.4cm wider, 3.2cm taller and around twice the thickness and weight. These two traditional DSLRs literally dwarf the A7 and A7r – you can get an impression of this in the comparisons below where I’ve pictured the A7r against the D800e. Of course Sony’s no stranger to producing small bodies and the most important measurement is what you end up with when you mount a lens. As I’ll discuss later, there’s not a huge amount of native FE lenses to measure-up, but the 28-70mm f3.5-5.6 kit zoom looks and feels well-proportioned with the body, adding 295g to the weight and 83mm to the length. It’s interesting to compare this to, say, the kit lens for the full-frame Nikon D610, the DX 24-85mm f3.5-5.6. Both share roughly the same length, the same focal ratio and feature optical stabilisation, but the Nikkor zooms wider and a bit longer for a 3.5x range compared to 2.5x on the Sony, but at 465g the Nikkor lens weighs around 50% more. Meanwhile Canon’s EOS 5D Mark III and EOS 6D are most commonly bundled with the EF 24-105mm f4L IS USM, the classiest full-frame ‘kit’ lens of them all, albeit the heaviest and most expensive too. It also starts wider than the Sony, but ends longer than either it or the Nikkor with a 4.3x range. Like the others it’s optically stabilised, although only it and the Sony sport weather-sealing; meanwhile the Canon is the only one of the three to feature a constant f4 aperture. The price you pay is a lens which at 670g approaches the A7+28-70mm total weight, measures 107mm in length and takes the 6D’s total kit price to around $2500 USD. This is roughly the same as the kit price for the D610, which makes both around 25% higher than the A7 kit at $1999 USD as of late 2013 – and lest we forget, the A7 hasn’t been out for as long, so I’m comparing discounted prices for the Canon and Nikon, but recommended retail for the Sony. So unless Canon and Nikon get more agressive with their pricing, the gap will widen further in the near future. So the Sony A7 kit is cheaper and lighter, but suffers from the shortest optical zoom range compared to its immediate rivals. Is this a big deal? Only you can say. Personally speaking I’d be happy to forgive the modest 70mm longest focal length had the Sony kit lens started at 24mm rather than 28mm, but as it stands it’s a fairly unremarkable range. That said, I used it quite happily during the test period and found it was a perfectly usable general-purpose option. Clearly Sony’s engineers and marketing decided to go for this specification to keep the weight and cost down, and I think both are important for the A7. After all had the kit lens weighed as much as the Nikkor or Canon it would have felt very front heavy, which while acceptable for a longer or brighter lens, isn’t that comfortable for a general-purpose walkaround zoom. Meanwhile the price makes the kit look competitive against its rivals. If you really want to leverage the A7’s compact body size though you’ll want to equip it with the Zeiss 35mm f2.8 sooner rather than later. This adds little to the body thickness and brings the weight to 782g. For me it’s the preferred general-purpose lens, as it’s brighter, better quality and much much smaller. It transforms the A7 and A7r into truly compact cameras which you can use quickly and discreetly, although there’s no stabilisation with this combination, an advantage the Olympus bodies enjoy with any lens. The A7’s grip may be fairly small, but if you’re coming from another mirrorless camera you’ll find it just fine. I most commonly shoot with the slightly smaller Olympus OMD EM5, so found the grip on the A7 actually gave me more to hold onto. But again these are very compact bodies compared to traditional DSLRs, especially if you’re coming from a semi-pro model. If you’re down-sizing from something like a Canon EOS 5D Mark III, EOS 6D or Nikon D800(e) or D610 you may prefer to fit the A7 with its optional battery grip which certainly gives you much more to hold onto, while still remaining smaller overall than the DSLRs. At this point I should however note there’s pros and cons to having a small camera body. I love the portability of the A7, but there’s no denying the sheer heft of a larger body can be easier to hold steady when shooting and can’t help but make you think more about your stance and technique. Once again I was shocked to remind myself just how big and heavy the 5D3 and D800(e) are, especially compared to the A7, but again their size does encourage serious handling. Conversely I found when shooting with the A7 and A7r it was easy to fall into a more casual style, and while you can get away with that on smaller formats with stabilisation, there’s much less margin for error when shooting unstabilised with full-frame. Many of my more casual handheld snaps with the A7 and especially the higher resolution A7r were lacking sharpness when viewed at 100% either due to slightly missing the focus or wobbling a little from camera-shake, and I know under the same conditions I’d have nailed the shot with, say, an Olympus EM5 or EM1. The combination of a very high resolution sensor in a small and light body, fitted with unstabilised primes delivering a shallow depth of field means you should shoot very carefully for the best results. Of course you may be steadier or have better technique, I just wanted to point out the Sonys are not casual cameras. The Alpha A7 may be small and light, but feels very well built and confident in your hands. All but the front panel is built from magnesium alloy and the entire camera is weather-proofed. To what degree neither Sony nor I can say, but I did use it with the (also weather-sealed) Zeiss 55mm f1.8 out in a steady shower with no ill effects. Interestingly while the Alpha A7 and the A7r look and feel virtually identical, there are minor differences in their construction. The A7 shell for example isn’t entirely made from magnesium alloy, instead employing an enhanced plastic front panel to reduce the cost a little; strangely this actually makes the A7 nine grams heavier too. Look really closely and you may also notice the mode and exposure compensation dials on the top of the A7r are furnished from solid aluminium with a slightly different texture compared to aluminium plating on the A7. But to be honest I couldn’t tell any difference between the way they felt once they were in my hands. I did several blind tests, and at no point could I or anyone else I asked tell the difference between the cameras by look or touch alone. Both cameras share the same control system which works very well. Separate finger and thumb dials fall easily to hand, and there’s an additional rear wheel which means you can adjust the shutter, aperture and ISO quickly and easily. Suffice it to say you can also customize the dials and some of the buttons too. There’s also a separate exposure compensation dial which again gives you quick and easy access. Also personal – but I’m sure to be appreciated by everyone – is the new menu system, finally laying the bizarre approach of the NEX models to rest. In their place is a tabbed non-scrolling set of pages not dissimilar to Canon’s menu system which is so much better than what Sony previously offered. It’s easy to overlook this on reviews which concentrate on the specifications, but in use the new user interface makes a massive difference to the handling experience – you can see some menu screengrabs throughout the review. So far so good, but when shooting with the A7 I found myself regularly cursing Sony for not equipping it or the A7r with touch-screens. If you’ve never used a touch screen, you may wonder what the fuss is about, but when it comes to selecting a focusing point they can’t be beaten. As it stands if you want to manually position a focusing area on either camera, you’ll need to press the Function button and choose the focus area option (or configure a custom button to take you straight there), then use the controls to reposition it as desired. Almost inevitably I’d often find myself off by a small amount and having to go through the process again just to adjust it a little, or recomposing the shot so the subject fell below the fixed area. Very frustrating when you’re used to just tapping once and getting the desired result on models like the Panasonic and Olympus bodies. I should also mention the tilting screen which may be great if you shoot from behind the camera in the landscape orientation, but is of little use if you either shoot in the portrait orientation or take self portraits or film pieces to camera. If the screen was fully articulated, you’d be able to compose with comfort in the portrait shape and film pieces to camera which makes video blogging so much easier. To be fair none of Canon or Nikon’s full-frame cameras even have tilting screens, so it is at least a step ahead of them, but Sony fans will remember full articulation has been seen before on the SLT models. The Alpha A7 is powered by an NP-FW50 which Sony reckons is good for around 270 images under CIPA standards. In my tests I generally found a single charge got me through a fairly heavy day, although if you’re shooting really heavily or including a lot of video, then you’ll want to carry a spare. The A7’s battery can be charged as normal using an optional mains-powered unit, but in what’s probably a first for a camera of its class, you can also charge the battery in-camera over a USB connection. This is something I’ve seen on plenty of smaller cameras, but not on any interchangeable lens models I can think of, let alone full-frame ones. I think it’s a brilliant feature and one I certainly exploited during my tests. After one long day of shooting I brought a fully depleted battery up to 82% by connecting it to a vehicle’s USB port during a two hour drive and continued shooting when I reached my destination. It’s quite liberating being able to recharge – or at least topup – a battery over USB with a laptop or car charger adapter without the need for extra accessories. It’s a key benefit of the A7 over its rivals right now. The A7 does not have a built-in flash, but it does have a standard hotshoe including Sony’s Multi Interface Shoe contacts to support the company’s range of accessories. The A7 is also equipped with USB and Micro HDMI ports, along with 3.5mm microphone input and headphone jacks. The A7 also sports built-in Wifi with NFC, which allows wireless transfer of images and supports the company’s selection of optional apps to expand its capabilities, more of which later. The HDMI port can be configured to output a 4k signal for compatible TVs, allowing you to view your photos at a higher resolution, but note video is still captured and played back at a maximum of 1080p. The HDMI output can also be configured to deliver a clean feed without any graphics, and in a particuarly neat move for anyone using an external recorder, the HDMI feed remains clean and unscaled even if you’re using magnified assistance on the camera’s screen; impressively the HDMI output also includes audio. Interestingly the Canon EOS 5D Mark III, while ultimately delivering video that’s bereft of moire, mirrors the HDMI output with any screen-based assistance and does not include audio on the feed either, forcing anyone with an external recorder to take a seperate audio feed. These all prove that Sony is thinking carefully about the needs of video professionals, although note my friends who are experts in these fields have commented they have not yet been able to record a 1080p feed over HDMI, only 1080i. That said, the inetrnal AVCHD encoding for 1080p looks pretty good for most requirements. There’s an optional RM-VPR1 cable release which is also compatible with a variety of other Sony models, although you can also remote trigger the camera over Wifi using a smartphone since the Smart Remote app is permanently embedded in the A7 and A7r. Finally there’s a single memory card slot in the right grip side, that’s compatible with SD cards (class 4 or faster) and Sony’s Memory Stick Duo. Yes, two slots would have been nice for redundancy or backup, but I guess in a camera of this size, every cubic millimeter counts. The Sony Alpha A7 is a 100% Live View camera with the choice of a screen or electronic viewfinder for composition. The viewfinder is one of the best electronic models I’ve had to pleasure of using. It employs an OLED panel with XGA resolution (1024×768 or 2.359 million dots) and a large 0.71x magnification. This places it roughly on par with the Olympus OMD EM1 in size and resolution, although the native 4:3 aspect ratio of the Olympus means its images fill the panel and appear taller. In use the Sony viewfinder didn’t suffer from any tearing or rainbow artefacts – something I’m very sensitive to – and the image was always large, bright and very detailed. I had the Canon EOS 5D Mark III and Nikon D800e alongside me while testing the A7 and A7r and I can tell you their optical viewfinders were pretty much exactly the same size, so if you’re considering a switch you won’t lose anything in image size or coverage. Of course there’s pros and cons to electronic viewfinders. On the downside they can’t help but become noisier or slower to refresh in very dim conditions, and the time taken to display an electronic image means they often lag in a continuous shooting environment. This makes them less desirable for very low light and fast action shots. But it’s not all one sided. The advantage of electronic composition is the ability to overlay guides, offer magnified focusing assistance and peaking, preview changes in white balance or effects, not to mention filming movies and playing back video or photos. It’s an entirely personal choice, but for me the benefits of electronic viewfinders now outweigh optical ones for my work, and again the A7 and A7r are equipped with one of the best around. If you prefer you can compose with the 3in / 921k dot screen. As mentioned earlier the screen can tilt to face directly upwards or down at an angle making overhead or waist-height shooting more convenient. But annoyingly it’s not fully articulated, preventing the same benefits to shooters in the portrait shape. Lack of full articulation also means you can’t fold the screen back on itself for protection or towards the subject for self-portraits or filming pieces to camera. As you’ve probably gathered by now I’m a big fan of fully articulated screens, and it frustrates me when a camera is only equipped with a tilting screen, although I should note neither the Canon EOS 5D Mark III nor Nikon D800e even have tilting screens. I was also disappointed Sony didn’t make the screen touch-sensitive either as I find this such a quick and easy way to manually position AF areas. For me this is a key advantage of other systems. Pressing the DISP button cycles through a selection of up to five different information views, each super-imposed onto the live image: you can have up to three different views of the shooting information from detailed to none at all, along with a live histogram or a dual axis leveling gauge, although not at the same time. The DISP button menu lets you choose which of the five views you’d like enabled, and very neatly you can separately configure them for the screen and viewfinder – there’s no restrictions. The main screen also offers an extra view which replaces the live image with a page full of shooting information including both a live histogram and a leveling gauge, all on the same page – this has to be the most useful and detailed single shooting information screen I’ve seen. While focusing in Live View with both Sonys and the two DSLRs, I also noticed the A7 / A7r image when magnified was cleaner and more detailed than the Nikon D800(e), albeit not as clean as the Canon EOS 5D Mark III. So if you’re coming from the Nikon you’ll find it easier to focus in live view when magnified, but Canon owners may notice a small drop in the magnifed live image quality. The Alpha A7 is equipped with an E-mount that’s compatible with existing E-mount lenses for NEX cameras along with a new range of FE lenses that are designed for full-frame use. The camera does not feature built-in stabilisation, so to iron-out any wobbles you’ll need optically-stabilised lenses. 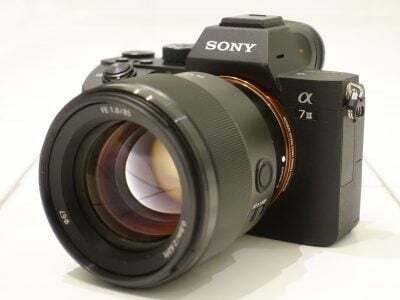 Sony launched the A7 and A7r with five native FE lenses, all of which are weather-sealed and feature internal focusing for quick and quiet operation: a 28-70mm f3.5-5.6 stabilised zoom (also the A7 kit lens), a Carl Zeiss 24-70mm f4 stabilised zoom, the Carl Zeiss 35mm f2.8 and 55mm f1.8 primes, and the 70-200mm f4 G telephoto zoom with stabilisation. The two primes are fairly compact, as are the two general-purpose zooms – indeed the use of five aspherical elements and a shorter flange distance allow the Zeiss 24-70mm f4 to be smaller than Canon’s 24-70mm f4. Note at the time of launch, the 28-70mm was only available in a kit with the A7, while the 24-70mm, 55mm and 70-200mm weren’t expected in significant volume until early 2014. This means the only native lenses available for the A7 at launch could be the 28-70mm kit zoom and the Zeiss 35mm f2.8. Sony promises up to ten new native FE lenses in 2014 including an f4 ultra wide Zeiss zoom, a fast Zeiss prime and a G-series macro. Five native lenses is a fairly modest start, especially as a number of them aren’t available at launch, but the key benefit of the A7 and A7r are their ability to use lenses from other systems. For starters, there’s Sony’s own E-mount lens catalogue for their NEX system. These mount on the A7 and A7r without the need for an adapter, although of course are only corrected for a smaller APS-C frame. If you mount one on the A7, the camera defaults to a crop mode, delivering the same field-of-view as an APS-C camera with a 1.5x coverage reduction and a maximum resolution of 10 Megapixels (or 15 on the A7r). So if you’re upgrading from a NEX 6, you can use all your existing lenses and capture images with a slightly lower resolution, although owners of the NEX 7 will have to accept a big reduction on image size with their older E-mount lenses. In a welcome move though, you can turn off the crop mode and have the A7 capture the entire 24 Megapixel full frame area when using older E-mount lenses – there’ll be significant vignetting and softening in the corners, but the usable frame could extend beyond the APS-C area, especially if you’re into making square crops. Here’s what you’d get if you fit the Zeiss 24mm f1.8 E-mount lens to the A7r in a portrait taken by my friend DL Cade of PetaPixel – thanks for letting me use the photo! Another popular NEX lens is the Sony 10-18mm f4 ultra wide zoom. I mounted it on the A7 and took a series of handheld photos at 10, 12, 14, 16 and 18mm. You can download the original files by clicking each picture below. At 10mm there’s significant vignetting as you’d expect, but the usable area extends well beyond the border of the APSC frame. You can make a square crop using the full height of the frame and only just dip into the first, fainter, vignette towards the edge of the imaging circle. Yes, the image gets quite soft towards the edge of the circle, but for smaller reproductions or subjects where you’re not concentrating on detail at the edges it is surprisingly usable. Note some of the softness on the left side on all the samples here is due to the depth of field, so for a fairer evaluation be sure to check the right side too. Zoom the lens into just 12mm and the periphery of the imaging circle has virtually disappeared with just the faintest vignetting in the corners visible. Again the detail softens towards the corners, but it’s not that bad; I’ve certainly seen some so-called full-frame lenses perform similarly. Between 13 and 15mm any evidence of the outer imaging circle edge disappears with no vignetting to comment on. There’s still softness in the extreme edges and corners, but again I’d say the usable area extends way beyond the APSC frame. At 16mm there’s the faintest evidence of vignetting, heralding the return of the imaging circle’s edge, and by 18mm it’s become quite dark in the extreme corners once more, although not by as much as at 10mm. But I’d say the lens at 18mm performs best of all at the extreme edges, further extending the usable area. I’d say this is an excellent result for the Sony 10-18mm lens. Mount it on a full-frame body and you’ll be capturing enormously wide fields of view, which actually manage to avoid vignetting between 13 and 15mm, and which show only minimal evidence of corner darkening at 12 and 16mm. At the extreme ends of the focal range, especially the wide-end, the imaging circle’s edge becomes quite visible, but there’s still enough clearance for a square crop. Of course don’t expect miracles: the detail becomes progressively softer beyond the APSC area, but so long as you’re not pixel-peeping at 100% the results are surprisingly good. If you view or print at smaller sizes, or of course shoot compositions that don’t require pin-sharp detail in the corners, then it can be a fun option while we wait for the planned Zeiss ultra wide f4 zoom. Meanwhile you could alternatively mount one of the ultra wide zooms from a third party via an adapter, such as the Canon EF 17-40mm f4L, EF 16-35mm f2.8L, Nikkor 14-24mm f2.8, or of course Sony’s own 16-35mm f2.8 A-mount lens. I have examples of the last two coming up in just a moment! But before that here’s a different view of the Sony 10-18mm at 10mm on an A7. You can view the same subject at 12mm, 14mm, 16mm and 18mm. You can also mount any of Sony’s existing A-mount lenses via one of two adapters. The simpler LA-EA3 supports leisurely contrast-based AF only on both the A7 and the A7r, while the pricier LA-EA4 includes the semi-transparent mirror technology of Sony’s SLT cameras, effectively equipping both the A7 and A7r with a small array of phase-detect AF points when using these lenses. This AF system over-rides the existing on-chip PDAF system of the A7. These adapters open up a broader lens catalogue including a number of high quality options that are corrected for full-frame use, and the more sophisticated LA-EA4 effectively lets you use them on the A7r with phase-detect AF as well. I tried the A7 and A7r with a selection of A-mount lenses via the LA-EA4 and found they focused fairly swiftly and confidently for single AF acquisition, but I enjoyed less luck using the 70-400mm f4-5.6 G SSM telephoto zoom with Continuous AF, attempting to track hand-gliders take off and land. I admit to being a bit disappointed by my lack of success here as continuous AF should be one of the strong points of the SLT AF system. That said, the LA-EA4 may have been a pre-production adapter and there’s also the possibility of a calibration error with the mirror in the adapter and this particular sample of the lens. Sony’s anticipated the latter and equipped both the A7 and A7r with AF micro-adjustment options, allowing you to eliminate calibration errors, although I didn’t get the chance to put these to the test during my initial time with the cameras. I hope to retest the combination of the A7 and LA-EA4 with Alpha lenses, as if it can be configured to work well, then it could eliminate one of the camera’s weaknesses: relatively slow AF that’s ineffective in a continuous environment. I should however note that while the simpler LA-EA3 passes all the light through (since it doens’t have the LA-EA4’s semi-transparent mirror), it should only be considered by those with a great deal of patience for autofocusing. I tried it with Sony’s 16-35mm f2.8 ZA SSM and 70-200mm f2.8 SSM lenses on both the A7r and A7 and found the contrast-based AF system searched back and forth for between four and seven seconds before it finally locked-on. So if you want snappier AF with Alpha lenses, you’ll definitely want to go for the LA-EA4 instead, and accept the light loss of the SLT mirror path. But the unique combination of a full-frame sensor in a mirrorless body give the A7r and A7 many more options outside of Sony’s own lens catalogues. The short flange to sensor distance has of course been exploited by many mirrorless cameras to date to adapt lenses from multiple systems but most have cropped the image due to their smaller format sensors. Now with a full-frame sensor the A7r and A7 can use Canon, Nikon, Leica, Contax and just about any other lens without a crop, allowing them to deliver their intended coverage. Of course you’ll need an adapter and their capabilities vary, but I had a chance to try out a variety of adapters for Nikon, Canon and Leica lenses. Starting with Nikkor lenses, I tried the Novoflex adapter which may be completely manual but surprisingly quick in use. I tried it with the Nikkor 14-24mm f2.8 ultra wide lens and used a combination of magnified live view and focus peaking for assistance. Meanwhile a lever allows the adapter to adjust the aperture blindly, although if you keep your eye on the camera’s metering you can estimate each stop as a 1EV difference. Here’s a photo I took with the combination. Moving onto Canon lenses, I used the Metabones Smart Adapter III – this version is necessary to support full-frame coverage as earlier adapters are only suitable for cropped sensors. The Smart Adapter III is the complete opposite to the Novoflex, offering pretty much fully automatic operation with Canon EF lenses as if you were using a Canon DSLR. You can electronically control the aperture using the camera in any exposure mode, along with exploiting autofocus and image stabilisation; all the EXIF information from the lens is also passed to the camera and stored in the images. I took the photo opposite handheld using the 24-105mm at 105mm and the optical stabilisation allowed me to easily hold it steady at 1/100 even though the position wasn’t particuarly comfortable and I was wobbling. I have several other samples from the 24-105mm in my A7r sample images gallery and impressively the optical resolution is sufficient for the more demanding 36 Megapixels of the A7r. Like the LA-EA3 adapter for Alpha lenses, the Smart Adapter will only let the A7r and A7 autofocus using a contrast based system, but in my tests with the EF 24-105mm f4L IS USM, it generally locked-on in three to four seconds. This not only makes it comfortably quicker than using Alpha lenses via Sony’s own LA-EA3 adapter, but only a tad slower than focusing in Live View on Canon’s DSLRs. As such if you’re used to composing and focusing in Live View using a Canon DSLR, say for landscape or architectural shooting, you’ll find the transition to a Sony A7r or A7 very easy with the Smart Adapter III. Obviously the Canon AF is still faster when composing through the viewfinder, but again many more considered photographers compose and focus in Live View and don’t mind waiting a couple of seconds for a lock. Next up I tried the A7 and A7r with two Leica Summicron lenses, the 35mm f2 and the 50mm f2, via a Metabones M mount adapter. Unsurprisingly you’ll be shooting lenses like these completely manually for focus and exposure, but the experience is actually surprisingly quick and enjoyable. Thanks to magnified views when composing, it’s easy to nail the focus even with the apertures wide open, and an effective technique involves getting the focus close then simply rocking a little back and forth until the subject comes into sharp focus. I borrowed the Leica lenses and adapters from Hireacamera, which is a fantastic UK-based rental firm; if you’re based in the US, I’d recommend BorrowLenses – both are great for trying out new or exotic gear before buying. I think there’s a lot of Leica owners who adore their lenses, but perhaps are wondering what to do in terms of a body upgrade. If they’re the types who enjoy and exploit newer technologies, the Sony bodies represent an interesting option for their existing lens collections, especially the A7r which lets them capture high resolution 36 Megapixel images. I would however point out that neither of the Sony shutters could be described a quiet or discreet, so if you’re a Leica street shooter, you may still prefer your existing body. That said, I reckon the Summicrons look pretty cool mounted on a Sony body, as shown below – what do you think? I also have a selection of shots taken with the Leica lenses on my sample images page. I’ve also provided some shots for comparison between various 35mm options, and those considering the native Zeiss 35mm f2.8 may be interested to discover it out-performed the mighty (and considerably more expensive) Summicron 35mm f2 in the corners and edges on my test composition when both were set to f8. Not bad considering the Zeiss is cheaper and of course supports autofocus on the Sony bodies. So while the native FE lens catalogue at launch is limited, there are loads of opportunities to fit the A7r and A7 with legacy and third party lenses via a wealth of adapters, and again its lack of sensor crop gives them a unique advantage in the market. Imagine if Sony had also managed to include built-in IS in the A7r and A7, allowing them to not only enjoy uncropped access to such lenses, but with stabilisation too. We can but hope for future generations. Note if you intend to use the A7r or A7 with specific third party lenses via an adapter, I’d strongly recommend trying to find someone online who’s already tested them for compatibility or issues. I can tell you about the specific combinations above, but if you’re wondering about other options – partiuclarly if they’re very wide or bright primes – you should search to see if anyone else has used them. The Sony Alpha A7 employs a hybrid AF system which uses a combination of contrast-based and embedded phase detect points; this is a major difference between it and the higher-end A7r which lacks the embedded phase-detect points and is contrast-based only. Note the phase detect AF points on the A7 only work when the camera is fitted with native FE mount lenses or compatible E-mount lenses (I’m confirming the latter in practice though so watch this space). If you mount Alpha lenses via the LA-EA3 adapter, the AF on the A7 becomes completely contrast-based, and if you use the LA-EA4, the adapter’s own built-in phase-detect system over-rides the AF system in the camera. The contrast-based AF system on both the A7 and A7r splits most of the frame into 25 areas which can be automatically selected in the Multi Point mode. Zone and Center-weighted options are also available, as is the opportunity to manually place an AF area almost anywhere on-screen using the rocker controls; this Flexible Spot mode also allows you to resize the AF area as Small, medium or Large. The AF system works down to 0EV light levels. The A7’s phase-detect points are concentrated in an area in the middle of the frame; there’s 117 of them in all, and while they won’t illuminate when active, you can enable an option which super-imposes guides to indicate their coverage – see screengrab. There’s no way to manually switch between phase-detect and contrast based AF systems on the A7 when shooting with native FE lenses, the camera does it for you: if the subject is within the region of embedded phase detect sensors, it’ll use them, or otherwise it falls back on the contrast-based technique for the bordering area. As a full-time Live View system, the A7 can support technologies like face detection, which Sony now complements with optional eye detection. Like Olympus bodies before it, this allows the camera to first frame a face before then locking-onto the closest eye. The implementation is a little different between them though, and despite their recent investment in Olympus, Sony engineers assured me this was their own developed technology. So on the A7 the eye isn’t selected automatically – instead you’ll need to press and hold the button in the middle of the rear wheel to fire-up the system, after which a small AF area is placed over the nearest eye on the primary detected face. I found the Olympus system quicker as when enabled it simply locks onto the eye without additional button presses, but I still appreciate the its presence on the A7 as it makes casual portrait shots much easier. There’s the choice of Single Shot AF, Continuous AF, Direct Manual Focus, or Manual Focus modes, and magnified assistance at 5.9 and 11.7x, the latter roughly offering a 1:1 view on-screen. The A7 also offers focus peaking with three level settings and the choice of white, red or yellow fringing to indicate sharp focus. It is possible to use focus peaking while filming video, as well as magnified assistance, although the latter falls to 4x as this corresponds to a 1:1 view for the lower resolution frame of 1080p. I tried the 28-70mm kit zoom and Zeiss 35mm f2.8 and 55mm f1.8 lenses with the A7 and A7r. In Single Shot AF under good light, the A7 focused quicker and more confidently than the A7r, so long as the subject fell within the phase detect area. The A7 wasn’t quite as quick as the best Micro Four Thirds cameras under similar conditions, but it was still very usable. If the subject were outside of the phase detect frame though, the Single AF speed fell and at times felt less confident with more hunting. In this respect the A7 felt similar to the A7r regardless of where the latter’s AF point was located. In these situations, the Micro Four Thirds cameras felt noticeably quicker. When I took the A7 into dimmer conditions, its AF performance fell further and took a second or even longer to lock-on. In these situations there didn’t seem to be any benefit to the embedded phase-detect points for speed or sensitivity, and the A7 ended up feeling almost exactly the same as the A7r. Revealingly the best Micro Four Thirds cameras comfortably out-performed the Sonys in dim conditions thanks to models like the Olympus OMD EM1 and Panasonic GX7 operating down to -3EV. Indeed there were times when doing very low light tests that both Sonys refused to lock-onto the subject at all, when it wasn’t a problem for the Olympus and Panasonic. Of course to be fair the Micro Four Thirds bodies have smaller and lower resolution sensors with lens combinations that deliver a more forgiving depth of field, but to me it doesn’t matter how big or clean an image is if the camera struggles to focus. I then moved onto Continuous AF tests and as you’d expect the Alpha A7 was more confident at tracking than the A7r when the subject was placed within the phase-detect AF area. Place the subject outside the phase detect area and the A7 felt no different to the A7r or indeed other mirrorless cameras which rely on contrast-based AF – that is to say not particularly successful with moving subjects. I wasn’t using demanding subjects either – simply a friend striding towards me from a distance of about 10m to 2m. With this test the A7 managed about a 50-60% hit rate when the AF area was within the phase-detect region, and around 30% when it was outside. As I noted above, the A7r delivered about the same 30% hit rate regardless of where the AF area was positioned. To be fair, continuous AF is something which continues to challenge most mirrorless cameras, but the Sonys have a trump card to play in the form of the LA-EA4 adapter. This allows you to use older Alpha lenses, but with the benefit of the company’s SLT focusing system built-into the adapter. This over-rides the focusing systems of both the A7 and A7r and effectively transforms them into SLT cameras, which in previous tests have performed well for continuous focusing. As discussed in the lens section above though, I didn’t enjoy a great deal of success shooting with the Sony 70-400mm SSM G lens on the A7 via the LA-EA4 adapter in Continuous AF mode. The Single AF was quick, but most of my shots of moving subjects were slightly out of focus, although this could have been down to a pre-production adapter or a calibration error with the lens and adapter. Sony offers AF Microadjustment just for this purpose and once I have the camera back for testing at a later date I’d like to try these tests again. But in my tests so far I’d say autofocus is the Achilles’ Heel for the A7 and especially the A7r. In decent light with a native lens and the AF area within the phase detect region, the A7 certainly feels quite snappy, but even under these ideal conditions falls behind the best of its rivals. Reduce the light or move the AF area outside the phase detect region and the speed and confidence take a big hit. But like all tests, it all depends on your expectations and what you’re used to. I’ve spoken to some people who feel the AF speed on the A7 is perfectly good, and indeed it’s quicker than the Live View AF on most DSLRs. But if you’re used to shooting with smaller mirrorless formats, like the Micro Four Thirds models, or using the viewfinder on a traditional DSLR, you will find the A7 and especially the A7r slower. So while the A7 is definitely better than the A7r in terms of speed and continuous AF, at least in the area covered by the PDAF points, I’d say neither camera is suited to action photography where the subject is moving towards or away from you. They’re not sports cameras by any stretch, and in my time with them they felt most comfortable shooting mostly static subjects in good light with loads of detail to lock onto. I hope further testing with the LA-EA4 and older Alpha lenses proves more successful and opens up action photography to these cameras. Once again though there’s lots of assistance if you prefer to shoot in manual focus, or are using third party lenses via an adapter. You can magnify the view by 5.9 and 11.7x the latter delivering around a 1:1 / 100% view on-screen. There’s also focus peaking at a choice of three levels and in three colours. In my tests I had lots of opportunity to try out focus peaking, both with native FE mount lenses and third party options via adapters, but I found a coloured fringe didn’t always correspond to a pin-sharp subject. Indeed I frequently had to make minor adjustments to the focus to completely nail the result, despite peaking assuring me all was well. This particularly applies if you’re viewing the whole image on-screen and not a magnified view. I wonder whether focus peaking is something that works best on the more forgiving resolution of video? Maybe the precision demanded by 24 and especially 36 Megapixel full-frame sensors combined with a very shallow depth of field is a step too far for it. Don’t get me wrong, I appreciate its inclusion on the A7 and A7r, but while it proved useful in my tests it was more a guide than a 100% reliable technique. Ultimately if you’re into manual focusing I found the 100% magnified assistance to be the most useful, allowing me to confidently nail the focus, and you can see some examples taken with third party lenses on my sample images page. As I noted earlier, the magnified view is also much cleaner and more detailed than the magnified Live View on Nikon DSLRs, although Canon’s DSLRs remain the cleanest of all in this regard. The Sony Alpha A7’s mode dial offers the usual PASM shooting modes, along with AUTO (actually two Autos via an on-screen option), SCN (accessing nine presets via an on-screen menu), Sweep Panorama, two custom memory presets and the Movie mode. You can start filming video in any shooting mode, but by first turning the dial to the Movie position you can frame in the selected video format (such as 16:9 for HD) and also adjust more settings. The camera has access to shutter speeds between 1/8000 and 30 seconds with a Bulb option. The flash sync is 1/250 compared to 1/160 on the A7r. Fairly basic bracketing is available with three frames at increments between 1/3 and 3EV or five frames in increments of 1/3 to 2/3EV. The A7 is also compatible with Sony’s optional downloadable apps which can extend its capabilities. At the time of writing Sony reckoned only Smart Remote Control (already embedded in the camera) and Direct Upload (for posting direct to social networks) were compatible, but I’d expect the others to be updated where necessary including the Bracket Pro app. As far as I understand this doesn’t offer any deeper exposure bracketing yet, but the fact you can install apps to expand the capabilities of the camera is very cool, especially now the API is open for third party developers. At this point I’d like to mention the sound of the shutter – something I rarely discuss in reviews, but something that lots of folk have been asking about. Unlike the A7r, the A7 actually employs an electronic first-curtain, so while the shutter volume is similar to the A7r, the sound is shorter in two parts like a ‘ther-clik’. In contrast the A7r shutter is mechanical on both curtains so can’t help being longer and sounding more clunky. Sadly neither camera has a silent 100% electronic shutter option. I know electronic shutters can have issues with rolling shutter artefacts, but unless the effect is horrendous I still like to have the option for situations like weddings or in galleries. I had the Canon 5D Mark III and Nikon D800e on hand while testing the A7 and A7r, so had a chance to compare their respective shutter sounds. Both of these traditional DSLRs were actually a bit louder than both Sonys, with the Canon also sounding sharper and the Nikon a little lower pitched. But crucially they were both much faster sounds, which gave them the impression of being faster, more responsive cameras, almost hungry for the shot, whereas the Sonys, especially the A7r, sounded much more leisurely almost like they were lolloping along. Now this is entirely personal and you may disagree or even laugh at my description above, but while testing the A7 and A7r with a group of photographers, most of us commented on their shutter sounds, so if you’re sensitive about this you’ll definitely want to check them out first. I’ll continue discussing the other shooting modes and effects in part two of this review coming soon! Time now to discuss other aspects of the camera. The Sony Alpha A7 is equipped with very capable movie recording facilities. It can record Full HD 1080 video at 60p / 50p, 60i / 50i or 24p / 25p, there’s full manual control over exposures, it can continuously autofocus while filming, there’s active focus peaking while recording, adjustable audio level meters, jacks for an external microphone and headphones, uncompressed (and clean) HDMI output, and of course as a full-time Live View system you can compose, film and playback using the screen or electronic the viewfinder. Set the A7 to 60p / 50p (depending on region) and it’ll encode at a high rate of 28Mbit/s. Set it to 60i / 50i (depending on region) and you have the choice of encoding at 24 or 17Mbit/s. Set it to 24p / 25p (depending on region) and you can choose between 24 and 17Mbit/s. Unlike Canon and Nikon’s DSLRs, the frame rates are regionally-dependent, so PAL regions won’t have access to 60p, 60i or 24p, while NTSC regions won’t have access to 50p, 50i or 25p – I do hope Sony addresses this in a firmware update. All of the modes above are encoded using AVCHD, but you can alternatively choose MP4 at either 1440×1080 at 12Mbit/s (stretched for playback into 1080p) or VGA at 3Mbit/s. The maximum recording time is approximately 29 minutes, but a 2GB file limit for MP4 means you’ll need to be shooting in AVCHD for longer clips. I’m working on further tests for video on the A7 for an update to this review soon, along with preparing many more samples but right now I wanted to share a small selection of clips which give you an idea of the quality and features in practice. In my tests so far I’m finding the A7 delivers fairly clean results, albeit with some visible moire at times. Many speculated the A7 would be better at video than the A7r, but in my tests below it’s roughly the same in terms of noise and detail, although at times moire is actually more visible on the A7 video than the A7r; conversely it does enjoy an advantage in a continuous AF environment thanks to its embedded phase detect AF points. The Canon EOS 5D Mark III remains the quality leader with cleaner and crisper video, suffering from zero moire in all of my samples thanks, I’m assuming, to having a sensor resolution that’s evenly divisble by 1920. Meanwhile the Nikon D800e is the worst of the four, suffering from similar levels of moire as the two Sonys, but with worse noise and lower detail. This clip shows a handheld pan made with the Alpha A7 fitted with the 28-70mm kit lens at 28mm. This lens has optical stabilisation which has certainly reduced the visible shake, but to my eyes it’s not as smooth and ‘floaty’ as other stabilised systems I’ve filmed with. You’ll also noitce a wobble at the beginning and end of this and most of my video clips – this is due to pressing the indented video record button which is located part-way round the grip. Sony’s been clever to locate it somewhere it won’t be pressed by accident, but equally it’s quite hard to press it even deliberately without jabbing the camera. 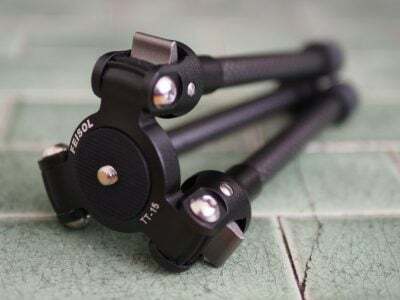 For this clip I mounted the Zeiss 35mm f2.8 lens onto the A7 and fitted the camera to a tripod. The static subject allows you to evaluate the quality of the video at 1080 / 50p. In this video I fitted the Alpha A7 with the Zeiss 55mm f1.8 and opened the aperture to f1.8. This delivers a very shallow depth of field which is going to represent a significant challenge when it comes to keeping the subject in focus in a moving environment. Apologies in advance for the wobbles in this unstabilised footage. In the clip I start close to the leafs, then back away before moving closer again. I was careful to keep the subject within the A7’s phase detect AF area on the sensor. As you can see the camera does a fair job at adjusting the focus – it’s far from the fluid adjustment of the Canon EOS 70D, but it’s still smooth and keeps the subject in focus most of the time without any visible hunting. Not a bad result for the camera considering the challenging lens and conditions. For my second continuous focusing test with the A7, I kept it fitted with the 55mm f1.8, still opened to f1.8, but this time stood still and panned between a nearby and a distant subject; again apologies for the wobbling in this handheld unstabilised clip. This doesn’t test true continuous autofocusing – it’s more like auto focus-pulling – but it remains an interesting test none-the-less. In this clip the A7 smoothly refocuses between subjects with only minimal delay and no visible hunting. It’s a noticeably more confident performance than the A7r which doesn’t sport phase-detect AF points on its sensor, and as a consequence is more hesitant and suffers from more hunting in similar conditions. To test the low light video capabilities of the A7 I filmed a series of clips in dim conditions between 800 and 25600 ISO using the Zeiss 35mm lens and a tripod. For comparison I filmed the same scene with the same lens with the A7r moments later, followed by the Canon EOS 5D Mark III and Nikon D800, the latter pair fitted with 35mm f1.4 lenses from each company. In each case the lenses were stopped to f2.8 unless otherwise stated and all clips were filmed in 1080 / 24p. The clip here was filmed at 1600 ISO, but I also have versions at 800 ISO, 3200 ISO, 6400 ISO, 12800 ISO and 25600 ISO. Here’s my version of the low light scene filmed with the Alpha A7r. Some speculated the A7 would be better at video than the A7r, but in my tests below it’s roughly the same in terms of noise and detail, although at times moire is actually more visible on the A7 video than the A7r; conversely it does enjoy an advantage in a continuous AF environment thanks to its embedded phase detect AF points. The clip here was filmed at 1600 ISO, but I also have versions at 800 ISO, 3200 ISO, 6400 ISO, 12800 ISO and 25600 ISO. Here’s my version of the same scene filmed with the Canon EOS 5D Mark III. This is the camera to beat for video and, well, the Alpha A7 doesn’t. The EOS 5D Mark III is consistently cleaner, crisper, and thanks to its exact down-sampling suffers from no moire either. 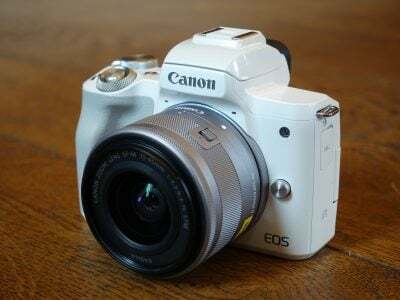 So while the A7 and indeed the A7 outperform its still photo quality, the 5D3 remains the video camera to of choice, especially coupled with its silent control options; if only Canon would equip it with a fully-articulated touchscreen too. The clip here was filmed at 1600 ISO, but I also have versions at 800 ISO, 3200 ISO, 6400 ISO, 12800 ISO and 25600 ISO. Here’s how the Nikon D800e handles the same scene, and as expected it performs worse than the Canon EOS 5D Mark III in terms of noise, detail and moire. How about against the two Sonys? I’d say all three suffer from moire to roughly the same extent, but the Sony A7r and A7 enjoy a little more detail and lower noise. So of the foursome the D800e is the least good for HD video. The clip here was filmed at 1600 ISO, but I also have versions at 800 ISO, 3200 ISO, 6400 ISO, 12800 ISO and 25600 ISO. The Sony Alpha A7 offers two continuous shooting options, continuous at 2.5fps and Speed Priority at 5fps. The Alpha A7r shoots at 1.5fps or 4fps in the same modes. To put them to the test I fitted each with a freshly-formatted Sony 32GB UHS-1 card and set them to 1/500 in Shutter Priority with a 400 ISO sensitivity. In each case I used Speed Priority and their maximum respective resolutions, 36 Megapixels for the A7r and 24 Megapixels for the A7. Set to Large Fine JPEG, the A7 fired-off 94 frames in 18.69 seconds, corresponding to a speed of 5.02fps, and seemed happy to keep shooting until I ran out of memory. Set to RAW only the A7 captured 30 frames in 5.89 seconds, corresponding to a speed of 5.09fps. And finally when set to RAW+JPEG Fine it captured 25 frames in 4.78 seconds, corresponding to a rate of 5.23fps. So in each case the A7 essentially met or slightly exceeded its maximum quoted speed of 5fps regardless of the image format and thanks to its smaller image size could shoot for longer bursts, especially for JPEG only. Set to Large Fine JPEG, the A7r fired-off 23 frames in 5.54 seconds, corresponding to a speed of 4.15fps, after which it reduced to around 2fps. Set to RAW only the A7r captured 17 frames in 4.13 seconds, corresponding to a speed of 4.11fps. And finally when set to RAW+JPEG Fine it captured 15 frames in 3.49 seconds, corresponding to a rate of 4.29fps. So in each case the A7r essentially met or slightly exceeded its maximum quoted speed of 4fps regardless of the image format, although for bursts limited to 15-23 frames. Compare these speeds to the Canon EOS 5D Mark III and Nikon D800(e) which in my tests delivered just over 6fps and just over 4fps respectively, the latter set to capture the full image size. So in terms of continuous shooting the A7r roughly matches the D800(e) while the A7 is only slightly out-performed by the EOS 5D Mark III by about 1fps which doesn’t make a huge difference in practice. Of course none of these cameras are designed for sports or action and all of the manufacturers offer faster models if that’s your thing. It’s also worth noting the Olympus OMD EM1 offers 10fps without AF or 6.5fps with AF, although of course it’s shifting much smaller 16 Megapixel files. The Sony Alpha A7 is equipped with Wifi, allowing it to transfer images wirelessly to smartphones, tablets, computers or compatible TVs. You can also use Wifi to remote control the camera with your smartphone or tablet, and unique to Sony so far, download and install optional apps to extend its capabilities. The A7 is also equipped with NFC, or Near Field Communications, allowing the initial Wifi negotiation to be simplified to a single tap with compatible handsets like the Samsung Galaxy S3 and S4, the Google NEXUS 4, 7 and 10, or Sony’s latest phones. While testing the A7 I regularly used the Wifi to transfer images to my Galaxy S4, and then send them on for sharing. It was also nice to be able to take photos of other people and use the Wifi to get the images on their own phones straightaway – I found myself doing this more than I expected. I haven’t had a chance to try copying images to a computer or TV over Wifi with the A7 yet, but believe it requires both the camera and the device to be connected to the same wireless access point. If you want a peer-to-peer connection directly between the camera and a device it’ll have to be an iOS or Android device. The A7 also follows the NEX 5R, 5T and 6 to support downloadable apps to extend its capabilities. Sony offers a number of apps on its Play Memories service, some free, some costing a few dollars, and recently opened the API to allow third party development. At the time of writing, there were 17 apps available on the Play Memories Camera Apps page, but only three were compatible with the A7: Smart Remote Control (which lets you control the camera with your smartphone), Direct Upload (for sharing images direct to certain social networks) and Flickr-add on (for uploading images direct to Flickr); all three of these are free of charge and the Smart Remote Control already comes pre-installed in the camera. I’m hoping the remaining apps, which include more advanced bracketing and timelapse facilities, can be made compatible soon as the A7 is lacking in some of these capabilities compared to rival cameras. Either way the ability to extend the feature-set in this way is very welcome and remains unique in the market. I’ll expand this section when I get a chance to try out more of the apps on the camera. There’s a lot that’s remarkable about the Sony A7, but its headline feature is without a doubt squeezing a full-frame sensor into a compact mirrorless body. The sensor is also one of the main differences between the A7 and the pricier A7r. The Alpha A7 is equipped with a full-frame sensor measuring 35.8×23.9mm with 24.7 Megapixels, delivering images with a maximum resolution of 6000×4000 pixels. The Alpha A7r is equipped with a 35.9x24mm full-frame sensor with 36.8 Megapixels, delivering images with a maximum resolution of 7360×4912 pixels. When output at 300dpi, the A7r and A7 can make prints measuring 24.5×16.4in and 20×13.3in respectively. Both cameras offer a sensitivity range of 100-25600 ISO, expandable at the low end to include 50, 64 and 80 ISO options. The A7r’s resolution matches that of the Nikon D800(e) exactly, while the A7 slightly out-resolves the Canon EOS 5D Mark III at least on numbers. The 5D3 offers 22.3 Megapixel files measuring 5760×3840 pixels which can be reproduced at 19.2×12.8in. So there’s not much between the A7 and 5D Mark III in pixel count. Have we seen the A7r and A7 sensors before, perhaps in the D800e and Alpha A99 respectively? No, say the Sony engineers I quizzed, the A7r and A7 both employ brand new sensors. There’s more differences between the A7r and A7 beyond just resolution though. The A7r dispenses with the optical low pass filter for potentially crisper results (albeit with potential moire you’d need to manage yourself), while the A7 sports embedded phase-detect AF points in a central frame to aid focusing, especially in a continuous environment. Both the A7r and A7 sensors employ offset microlenses towards the corners to help compensate for the angle of light coming from wide lenses mounted at such a shallow flange distance, but in an additional difference the A7r also employs gapless microlenses, whereas the A7 does not. Sony also notes both cameras employ adaptive sharpening to compensate for diffraction and more faithful reproduction especially on edges thanks to the new BIONZ X image processor. That’s a boatload of technology and differences I’ve provided you with, but the as always the proof of the pudding is in the eating, so without further ado, let’s check out some results. I’ve compared the quality, detail and noise of the A7 against the A7r and to see if they can really hold their own against their biggest full-frame rivals, I’ve also provided full comparative results against the Canon EOS 5D Mark III and Nikon D800e. I think you’ll be impressed. Check out my Sony A7 vs A7r quality, Sony A7 vs A7r noise, Sony A7 vs Canon 5D Mark III noise, Sony Ar vs Nikon D800e noise, my Sony A7 sample images, or skip straight to my verdict!